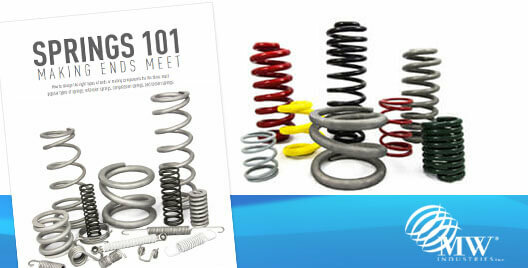 Springs 101! Making Ends Meet. » HHP Associates, Inc.
Springs 101! Making Ends Meet. 21 Aug Springs 101! Making Ends Meet. How to design the right types of ends or mating components for the three most popular types of springs: extension springs, compression springs, and torsion springs. An extension spring is required any time the application calls for a spring that will work in tension. 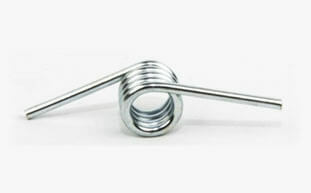 The spring body will be extended during use, so the most common type of ends are hooks. 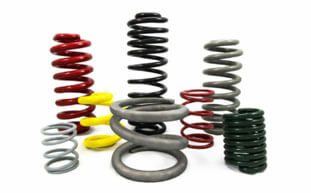 A compression spring decreases in length during use to provide a deflected force. Like extension springs, they come in all sizes, from little tiny springs that you might find inside of a pen, to huge hot-wound springs that you might find on a train. 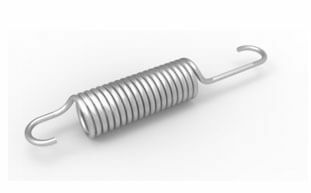 A torsion spring is meant to twist, or torque. Instead of being compressed or extended, it’s twisted. Some examples that call for a torsion spring include garage door springs, clothespins, and lift ramps. Get the guide from MW Industries here!